This article was last updated Sep 20, 2018, but some terms and conditions may have changed or are no longer available. For the most accurate and up to date information please consult the terms and conditions found on the issuer website. Competition is fierce for credit cards that offer users the chance to redeem the points or miles they earn toward travel. Two strong contenders in this category are the Capital One® VentureOne® Rewards Credit Card and the Capital One® Venture® Rewards Credit Card. These cards are appealing because of how simple they are to use — you earn rewards every time you charge something on the cards: 1.25 Miles per dollar on every purchase, every day on the Capital One® VentureOne® Rewards Credit Card, and 2 Miles per dollar on every purchase, every day on the Capital One® Venture® Rewards Credit Card. You don’t have to keep track of miles in different categories or remember to register for quarterly cashback bonuses. 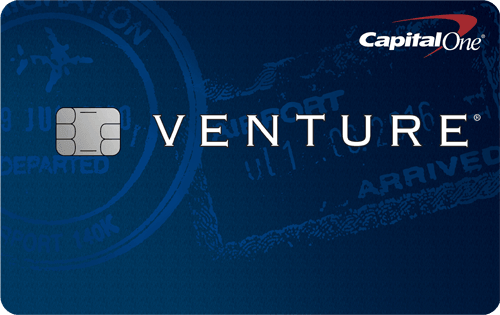 We’ll show you everything you need to know to redeem Capital One Venture miles in this post. There are two ways to redeem your miles for travel, and we’ll give you a walk-through here. Travel covers airlines, hotels, rail lines, car rental agencies, limousine services, bus lines, cruise lines, taxi cabs, travel agents and timeshares. When you book travel using a travel website, travel agent or other travel resources of your choice and pay with one of these cards, you have the ability to get a refund later if you have enough miles. Go to capitalone.com or call the Rewards Center. You can then use your available miles to “erase” the travel you charged on the cards and receive an account credit. Once you’ve booked your travel and it posts to your account, you have 90 days to obtain a credit if you use Purchase Eraser. You can also book travel using your miles at capitalone.com. To get a sense of how much a trip costs in miles, you simply multiply the cost of your travel by 100. So if you buy an airline ticket that costs $300, you would need 30,000 miles to pay for it. If your travel includes things like taxes, surcharges, and fees, these are covered when it comes to redeeming miles. Unlike other travel-branded credit cards, you can’t transfer your miles to airline or hotel loyalty programs with the Capital One® VentureOne® Rewards Credit Card and the Capital One® Venture® Rewards Credit Card, although you are able move them over to other Capital One rewards accounts. Book at Hotels.com/Venture. You can earn 10 miles per $1 spent when you use the card to book rooms at Hotels.com/Venture. Your rewards don’t expire as long as your account remains open, and there’s no cap on rewards you can earn on purchases. Use it for everyday shopping, too. 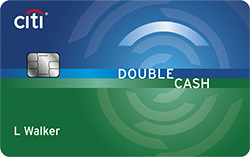 Both cards allow users to earn miles that can be redeemed for travel, along with gift cards, an account credit or a check. Your miles are valued at 1:1 for Purchase Eraser, gift cards and travel purchases on the website; they’re 2:1 when redeeming for cash. Gift card options include brands like Amazon, Best Buy, AMC theaters, Bloomingdale’s, iTunes, Starbucks and Whole Foods. Choose the right card for your needs. Before you get swept up in the miles-earning possibilities, take a closer look at each card to choose the best fit for your wallet. What we like. The Capital One® VentureOne® Rewards Credit Card starts with a One-time bonus of 20,000 miles once you spend $1,000 on purchases within 3 months of account opening, equal to $200 in travel. Once earned, those points are valued at $200. If you go to Capital One partner hotels.com/venture, you can redeem them for a Saturday night stay on Oct. 13 at the four-star Treasure Island Hotel and Casino in Las Vegas (at time of writing). Cardmembers earn 1.25 Miles per dollar on every purchase, every day. So if you spend $800 a month on the card, that adds up to 12,000 miles a year, or $120. That’s enough to rent a Ford Escape from Budget Rent A Car for a weekend in Houston in mid-October, at time of writing. Things to watch out for. 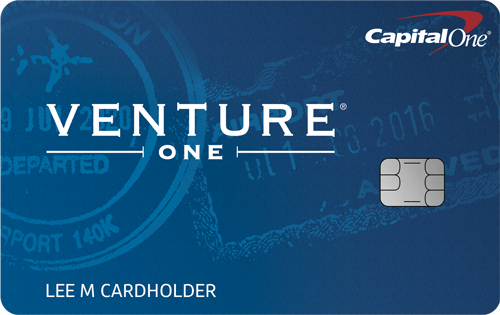 You need Excellent/Good credit to get the Capital One® VentureOne® Rewards Credit Card. What we like. The Capital One® Venture® Rewards Credit Card starts with a One-time bonus of 50,000 miles once you spend $3,000 on purchases within 3 months from account opening, equal to $500 in travel. That turns into $500 you can spend on travel, enough for two people to fly from Washington, D.C., to Las Vegas in mid-October at press time. Cardmembers earn a simple 2 Miles per dollar on every purchase, every day. If you spend $1,500 a month on the card, that adds up to 36,000 miles a year or $360. Use that to fly between New York City and Barbados for a weeklong in October, at time of writing. The Capital One® Venture® Rewards Credit Card comes with a credit of up to $100 to cover the enrollment fees for either Global Entry or TSA Precheck. You also receive an auto rental collision damage waiver, travel accident insurance and an extended warranty. Things to watch out for. You need Excellent/Good credit to get this card. The annual fee is $0 intro for first year; $95 after that. There are travel-branded cards that give you more miles/points per $1 spent on travel. There are also cards that give you more value for your points/mile, via partnerships with travel companies that you may want to consider. But if you want a simple card that gives you flat rewards without categories that you have to remember, and a simple way to redeem them, then the Capital One® VentureOne® Rewards Credit Card and the Capital One® Venture® Rewards Credit Card are the ones for you. You don’t have to bend over backward to redeem your miles with the Purchase Eraser feature or at capitalone.com. These cards are good options if you’re not hung up on earning higher points for travel or having card perks that you don’t use.